1908. 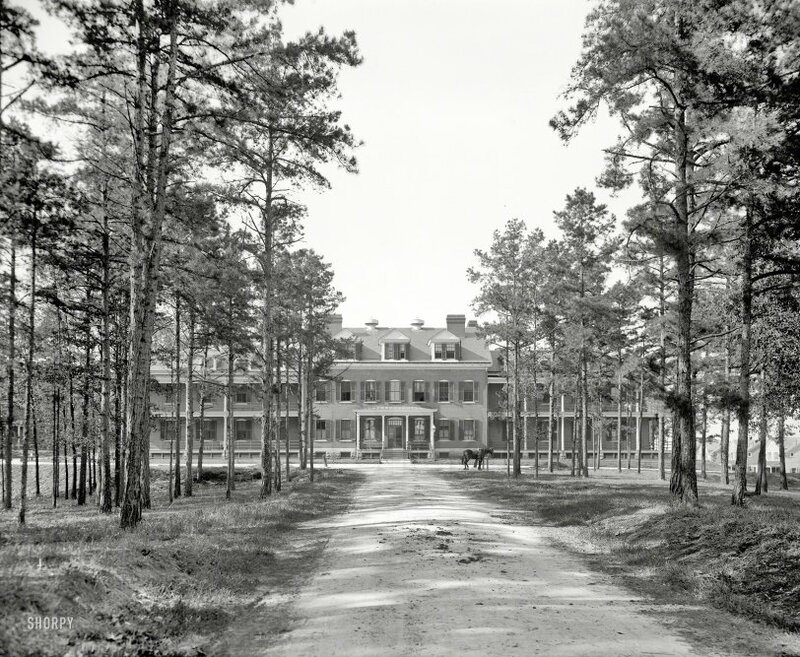 "Post hospital, Fort Oglethorpe, Chickamauga Park, Georgia." 8x10 inch dry plate glass negative, Detroit Publishing Company. View full size. Submitted by Solo on Sun, 04/03/2016 - 2:40pm. Home of the 6th cavalry regiment from 1919 to 1942, when that unit was dismounted and mechanized, Ft. Oglethorpe (second post of that name, the first renamed Ft. Jackson) had become surplus to Army needs by 1946. Life on the post was an archetype for the genteel, inter-war Army where rudimentary troop training and polo took up the days, and receptions, bridge nights, and the occasional cotillion occupied one's free time between retreat and reveille.